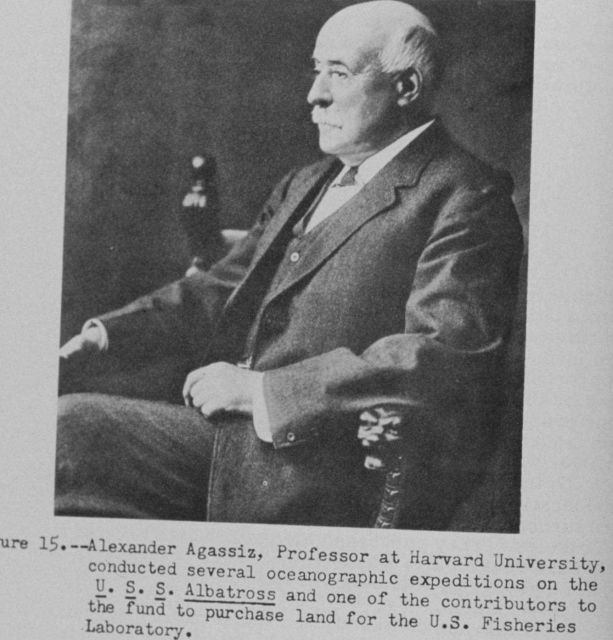 Alexander Agassiz, Professor at Harvard University, (1835 - 1910) conducted several oceanographic expeditions on the U.S.S. ALBATROSS and one of the contributors to the fund to purchase land for the U. S. Fisheries Laboratory. P. 30.